LibCal is chock-full of helpful modules that integrate with each other. It's best to understand how they work together and what you can reuse, before you start adding calendars, locations, or Appointments customizations. That’s where this workshop comes in. This session is for folks just getting started with a brand new LibCal site - or attempting a total overhaul. 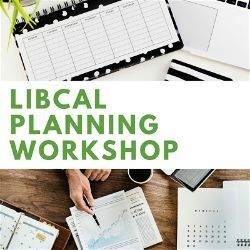 We’ll discuss what you need to know before you start setting up LibCal and how to plan your site to work more efficiently. This session is limited to 20 participants. This session includes some homework and active discussion (via microphones) during the session. While we will look at features within LibCal, this session will not include system set up. Check out the recordings of our module-based training sessions.